Blurb: Enter the world of the Avengers’ iconic master spy. 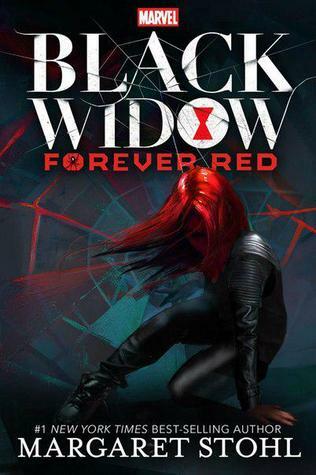 Black Widow: Forever Red features all the heart-pounding adventure readers expect from Marvel, written by #1 New York Times best-selling author Margaret Stohl. Uncover a new side of the Marvel Universe that will thrill loyal fans and newcomers alike, as Stohl reveals the untold story of Black Widow for the very first time. As I sit down to right this, Marvel has just announced that Captain Marvel’s movie has been pushed back to 2019, to make way for Ant-Man and the Wasp. Not The Wasp in her own movie, mind you, she’s got to be tacked onto Ant-Man’s movie – you know, the guy with the weakest opening yet of all the movies. By 2019 there would have been frigging 10 years without a female-led Marvel movie. Sighs. And in all this, not one peep about Black Widow’s movie. Which is why I picked up this book – Marvel’s movie studio sure isn’t interested in females, so I thought I’d get what I could elsewhere. The book has everything going for it – Widow is its focus, as is her past and the Red Room about which I am dying to know more. I’m not a comics reader, but I’ll buy the dvds, books and POP Funko figures. Margaret Stohl is the author of Beautiful Creatures, which I’ve never read but I know was loved and successful. 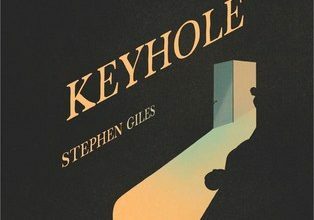 And, for the most part the book delivers: Stohl captures Natasha perfectly – her pragmatic approach to life, to SHIELD and the Red Room is clear when she rescues Ava, a child from Ivan Somodorov, her old teacher from Red Room. Eight years later, Ava is homeless and having strange dreams that don’t make sense, while Natasha is everywhere, post-Avengers and her dumping SHIELD secrets online. Ava hates her, hates that she couldn’t rely on Natasha, despite what she said years ago when she rescued Ava from Ivan. Those dreams also bring Alex into Ava’s life: a kid she keeps dreaming about, but does not know why. They all come together one afternoon when Natasha comes to warn her that Ivan is alive, and he’s coming for Ava. Stohl writes an action-packed novel, with efficient prose that clearly draws the lines of her action scenes – which, given that Widow is an efficient killer, I appreciated. Ava and Natasha are linked – in more ways than one. They are reflections of each other, and perhaps tell the story that once part of the Red Room no one is really free – not Natasha and not Ava. But the point is I guess, what they make of that freedom they do have. Naturally, there’s something more to their link – an experiment that explains what Ava is capable of in most of the book, and requires the presence of Tony Stark for some SCIENCE! Much to Natasha’s consternation. Ava and Natasha are the strongest part of the book, and should have been the only part of the book… but sadly, they weren’t. Alex. Alexi. And Spoiler Alert: Widow’s brother. He is by far the weakest link in this book, and really adds nothing to it but a male presence for the YA romance factor, I guess? According to the story, he and Natasha were separated when they were young, so they have only vague memories of each other. Natasha, being Natasha, isn’t particularly over-emotional about him thought her regrets about him are palpable. Alex’s “relationship” with Ava is rushed, and in essence over the space of days they apparently fall in love. I’m still trying to puzzle out the purpose of him and I am drawing a big fat blank. Here you have a book with two strong, fabulous female characters who drive much of the action and are the core of the book, with a male sidekick thrown in for no reason other than romance. 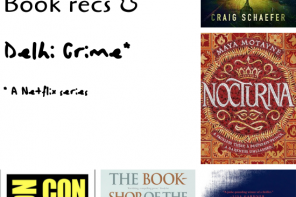 While there is much goodness in the book, Alex is there from beginning to end like a third-wheel, which a character does point out, and serves no purpose. At all. I’d like to blank him out, take some white-out and just erase him from this. The worst part of it is that is driving me nuts? His ending only underscores how little he mattered to the story. Natasha really cannot catch a break, no matter how much the audiences want more of HER. And in this case, Ava. I’m so disappointed by this book. And I hate that feeling because this is Natasha, and I adore her. The only reason this is getting a 3 is because I enjoyed parts of Natasha’s story. Have you read this? Shouldn’t Black Widow fans deserve better? Shouldn’t Black Widow? As much as I want to read this one, I mean, look at all the awesomeness, but…I really, really don’t get on with either authors work from Beautiful Creatures, I read half of the first one and gave up. For me, a lot of their’s, awesome premise, but bad execution, and I hate male characters that are basically there just for the romance, and nothing else, which, definitely sounds like he is, blah. Bad execution! That’s it — the romance was so obviously tacked on in some spots! I was getting wild-eyed on the train to work when I realised the brother was just there for the romance. I swear, I was skipping ahead and going back just to make sure I’d read what I thought I’d read, and … I did. It was awful. There was no emotional resonance at all. And, the thing is, at the core of this story? Is an AWESOME tale about the relationship between Natasha and Ava, I really thought there was. Sighs. And now, these authors are writing book 2 and I want to CRY. When I picked up the book I was expecting Black Widow/Natasha actually being in the book more because, you know, it’s her name on the cover. I was so disappointed. I totally agree with your views on the forced romance and Alex just being there for that. 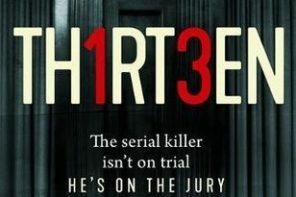 I can’t believe they are writing a second book. 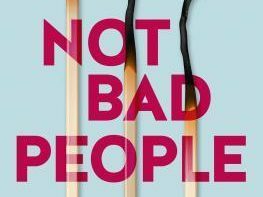 I since reading it haven’t heard too many positive reviews. The only thing that could save it for me is if it’s actually featuring Natasha and not just in government debriefs.